Friday: Rock and blues music with Ben Gibson Band, 5 p.m., no cover. The Balcony, 600 Main Ave. Information: 422-8008. Wednesday: Bluegrass with La La Bones, 7:30 p.m., $15. Red Scarf Studio Listening Room, 121 W. 32nd St. Information: 759-8404. The road to become a lover of bluegrass music is, for some, a road that weaves and winds its way through a punk rock neighborhood. The genres, believe it or not, have their similarities. In both punk and bluegrass, you’ll find an aggressive and direct instrumentation, often paired with wrenching lyrics and a revved-up tempo. It leads to some bluegrass bands busting out tunes that are just a few beats short of what Dirty Rotten Imbeciles recorded. In their early years, both bluegrass and punk rock were considered outsider music. Punk was a misunderstood mess of aggression meant to question authority, while bluegrass was a sophisticated brand of country and blues. Both were initially ignored by the mainstream, but the respective genres still excelled in their own circles, thanks to people daring enough to find and listen to something outside of what was being pushed on the public. But perhaps the biggest similarity that links the two genres together is that both have a larger network of friends and fans, a network that turns a music genre into a scene. Both genres create a place where regular show attendance, playing at any and all social gatherings, and it’s the norm to support the bands on the road who are grinding it out on tour. Bluegrass and punk rock have built community through group houses, where up-and-coming bands live together and play music day and night, along with putting on house concerts, festivals, and encouraging word of mouth promotion of other bands and scenes. It was the punk rock sense of community that first led local bluegrass band La La Bones’ banjo player Tommy Frederico and fiddle player Kathy Hilimire into the world of bluegrass. They discovered what musical community means via punk rock in the early 1990s, and it keeps them in the rich bluegrass scene today. 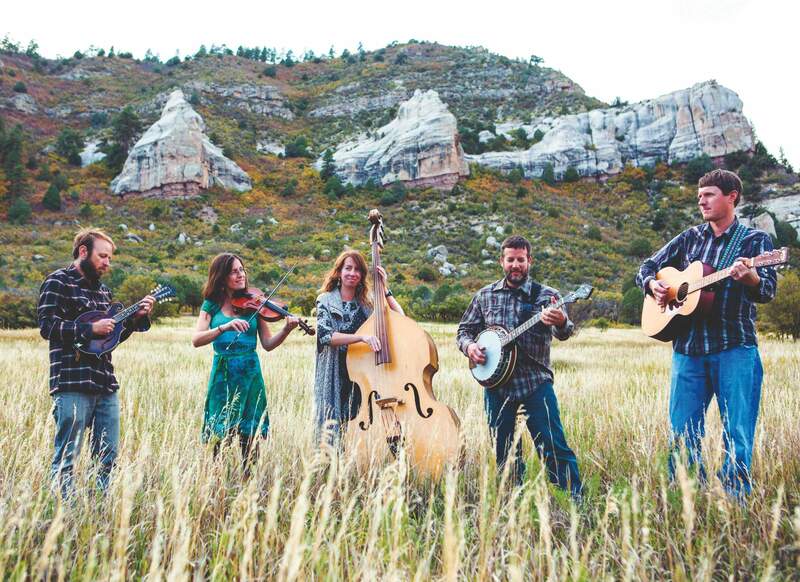 La La Bones is a band that remains vested in the thick community of Durango, a bluegrass community eyeballed and envied by fans and musicians across the nation. Their self-titled debut, recorded locally at Scooter’s Place, is an apt representation of the local scene. It’s traditional and true to what Bill Monroe played. It’s instrumentally experimental, and capable of leaning into the folksier side of this type of Americana. But it’s the community that remains a major draw for many. It’s a community that’s made up of music-loving people who are respectful of the art and value the social component that makes the music so fun. La La Bones will perform September 19 at the Red Scarf Studio Listening Room.